Coming September 13th from Take 2 Releasing, Haunting at the Beacon is a modern day ghost story starring Teri Polo (Meet the Parents/Fockers series). The interesting thing about this film is that it was filmed at an actual haunted hotel (Rogers Hotel in Waxahachie, TX) and the cast and crew reportedly experienced some supernatural occurrences. 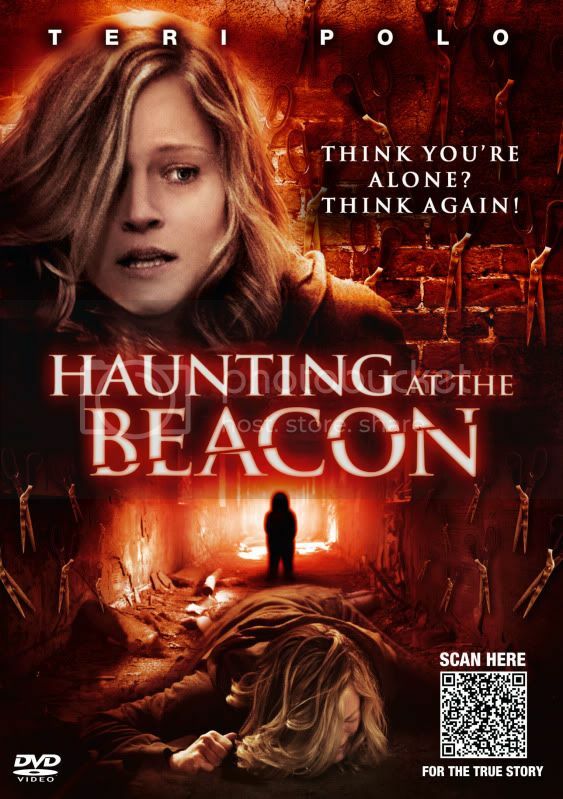 Haunting at the Beacon is about Bryn (Teri Polo) and her husband Paul (David Rees Snell) who move into a new apartment after their young son disappears and is presumed dead. After trying to cope with her loss, Bryn starts seeing a little boy running through the hotel and hears voices from a vacant apartment. Is Bryn slowly going crazy over the guilt she has for her son's death or is something really haunting the Beacon? Haunting at the Beacon definitely has some good things going for it. First of all is the strong cast, including Polo, Snell, Elaine Hendrix (as their seductive neighbor) and genre vet Michael Ironside (Scanners). The creepy atmosphere of the apartment/hotel was also beneficial to the film's spookiness as were the impressive makeup effects by Vincent J. Guastini (Requiem for a Dream). The climax caught me off guard and the shocking ending was a nice finish too. My only real complaint is that the film could have been a little scarier but overall it is a worthwhile film that should please supernatural horror and haunted house fans.